Ever hear a pilot mention the use of SLOP? Like many terms and acronyms, our imagination can run a bit wild at times until we fess up that we have no idea what something means. SLOP stands for Strategic Lateral Offset Procedures. Still clear as mud, right? SLOP is a technique in which a flight crew elects to parallel an airway or route with an offset anywhere from one to a few nautical miles left or right of the centerline. This technique is used over the North Atlantic, Pacific, and domestic routes. So why use SLOP? It helps prevent midair collisions and can be useful in avoiding wake turbulence in the flight levels. Many of today’s aircraft use highly accurate flight management systems that can keep a plane within a few feet of the airway. Add the fact that many aircraft are separated vertically by only 1000 feet in RVSM and the potential for a possible midair collision or encountering another aircraft’s wake increases. A slight offset can significantly reduce such an encounter without jeopardizing the lateral tolerances of an airway. When you think about it, it’s using technology’s accuracy against itself. Sadly, use of SLOP may have prevented the tragic accident over Brazil in 2006. A Gol Transportes Aéreos 737 was on an airway at FL370 when it collided with an opposite direction business jet. The business jet’s winglet sheared the left wing off the 737, killing all aboard. The business jet was able to safely land with a damaged winglet and horizontal stabilizer. A few years ago after hearing about SLOP, I recalled my check airman’s debrief following my private pilot practical test. I admit I was pretty far gone in terms of fatigue at that point and my brain’s retention power was on fumes. One item of note was his emphasis on avoiding flight maneuvers at VFR cruise altitudes. 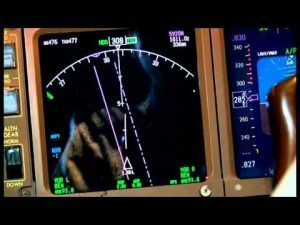 “With VFR traffic cruising at any thousand plus five and IFR traffic at any given thousand you’re really putting yourself at risk of a midair collision. Why not pick 3,300 or 4,200 MSL to give yourself a slight buffer?” There were many other pointers he had and if you are reading this, I apologize now because only one thing stuck its barbs into my long term memory and it was that. Once I found myself instructing I really started to notice the habits of students to start their maneuvers at the same altitudes they used to reach a practice area. In the interest of self-preservation by avoiding a midair collision and a somewhat grandpa-ish attempt at making my own acronym I came up with SOAP: Strategic Offset Altitude Procedure. Kind of nifty, right? Very nerdy, right? Well, as you can guess, SOAP operates on the same concept of SLOP: offsetting one’s altitude from one with higher concentrations of traffic can help reduce the risk of a midair collision even if it’s only by a couple hundred feet. Try this out on your next flight. It’s a small step to preventing a potentially big problem. No promises on this improving your steep turns though!